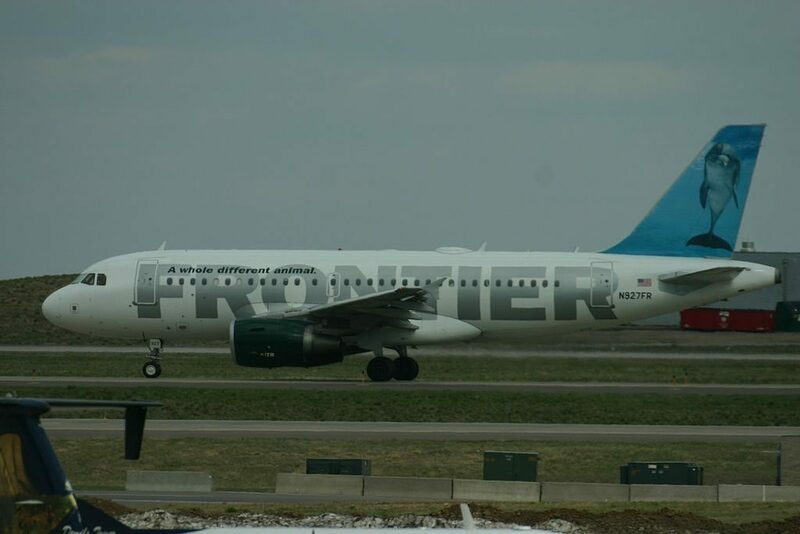 Frontier Airlines Fleet Airbus A319-100 Details and Pictures. 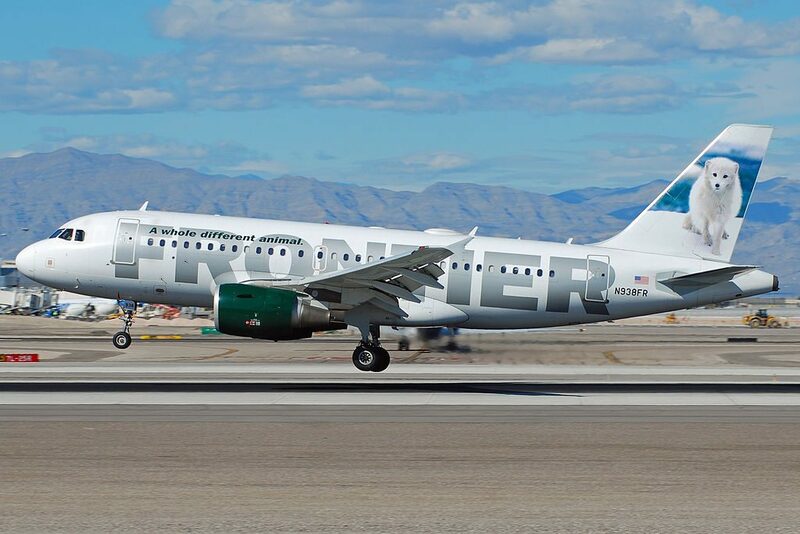 Frontier Airlines operates 10 narrow body aircrafts Airbus A319-100. 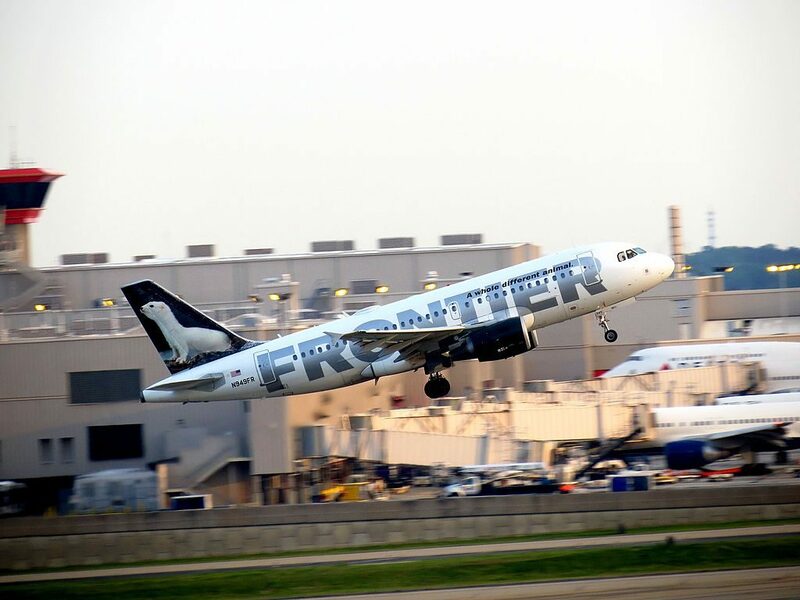 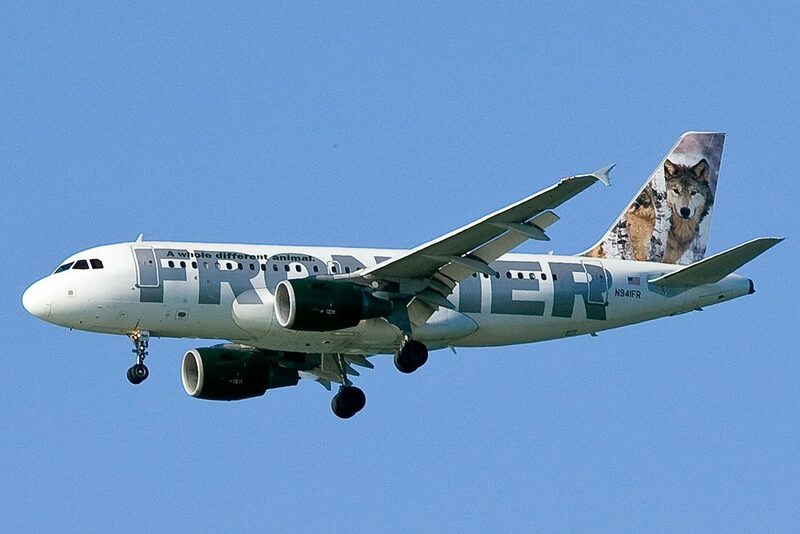 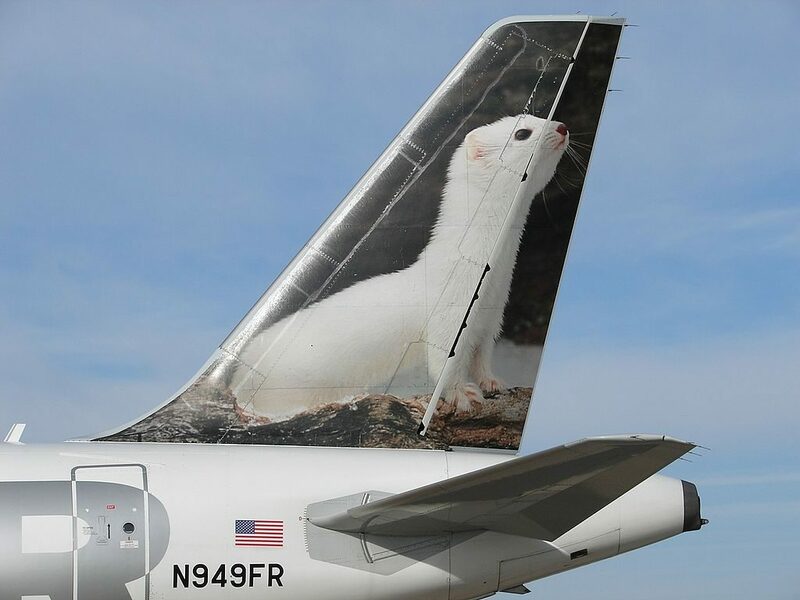 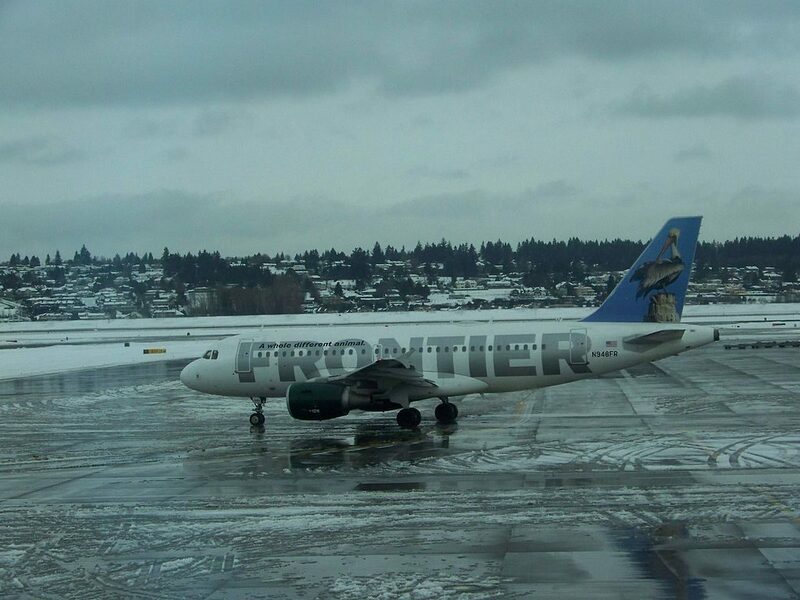 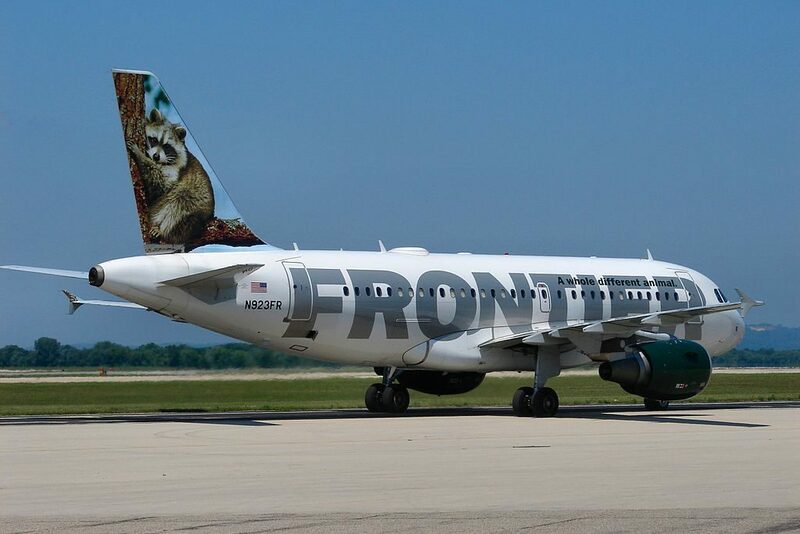 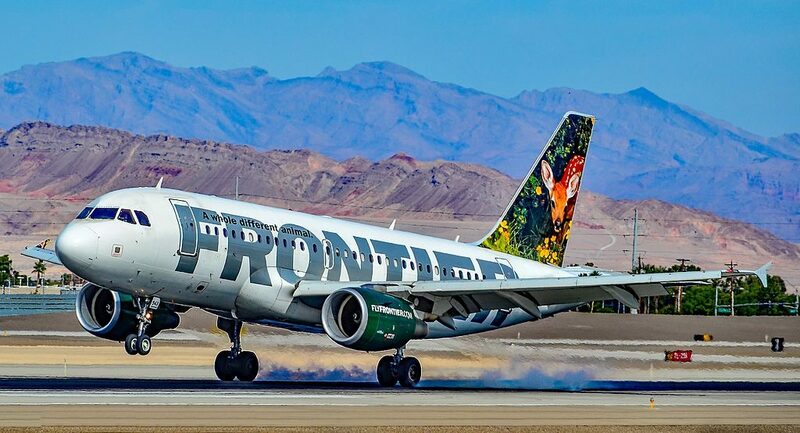 Frontier Airlines named their A319-100 with various animal and paint it on their aircraft tail. 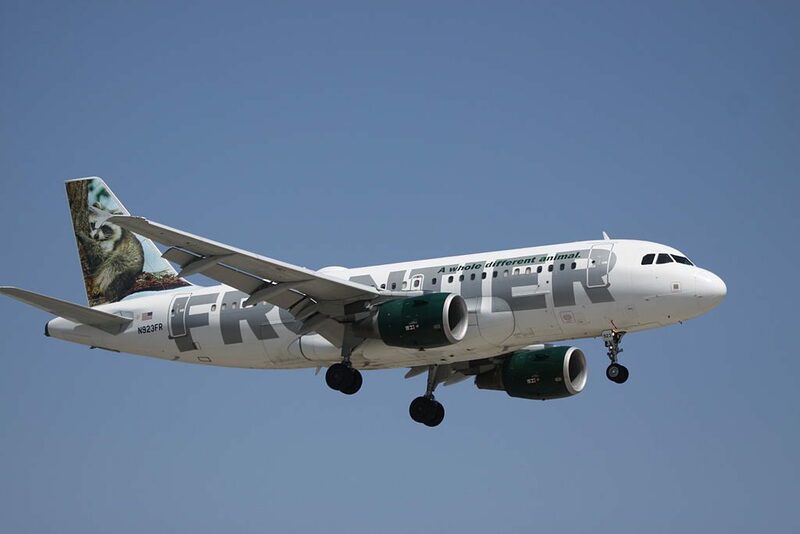 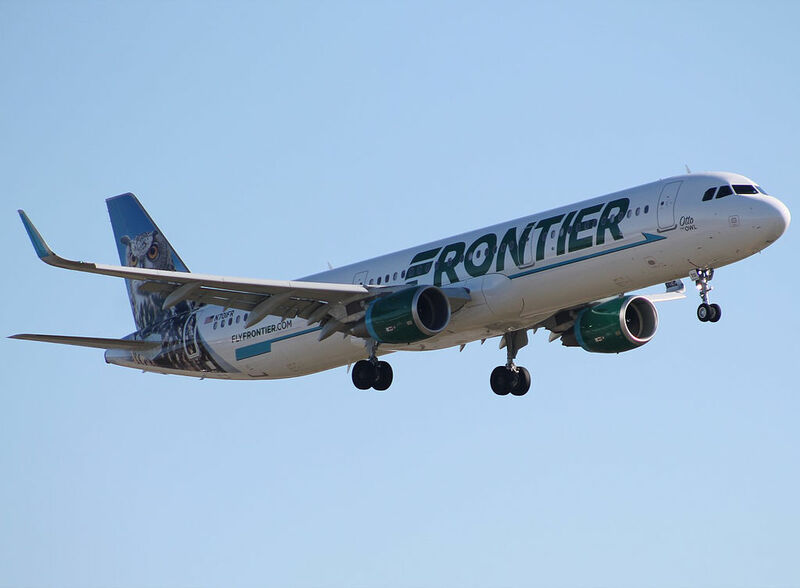 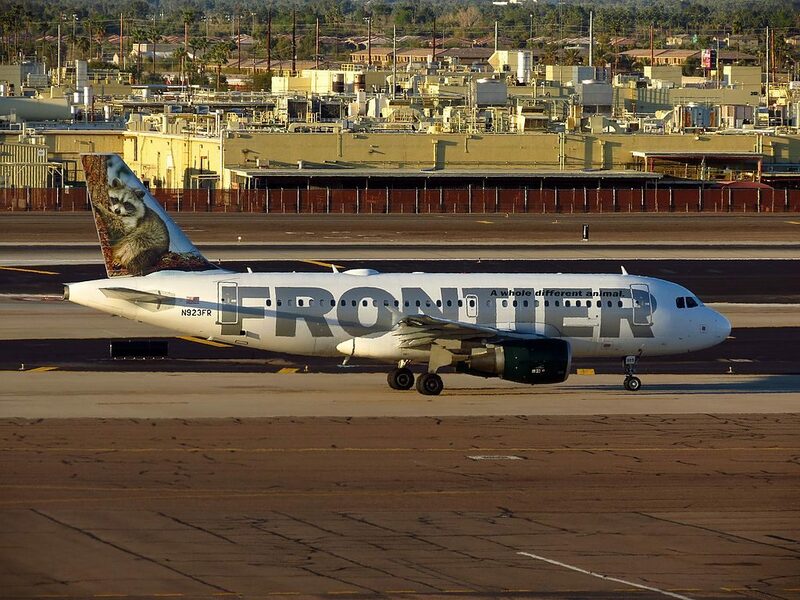 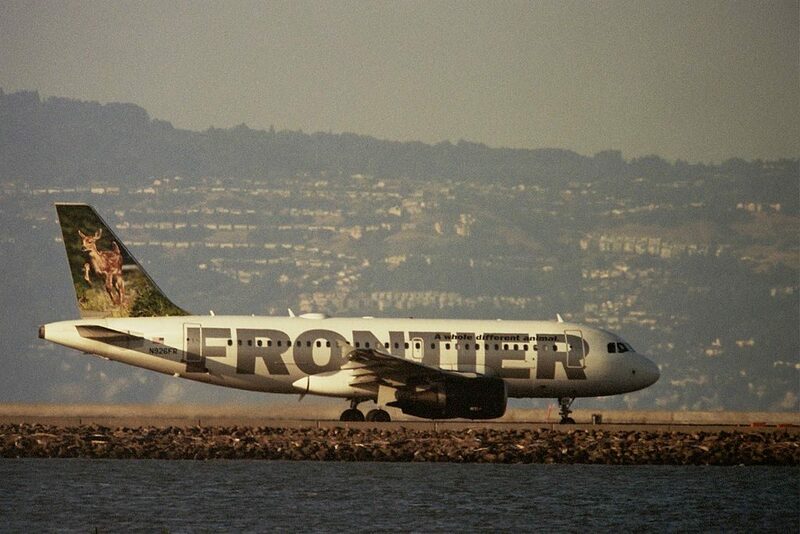 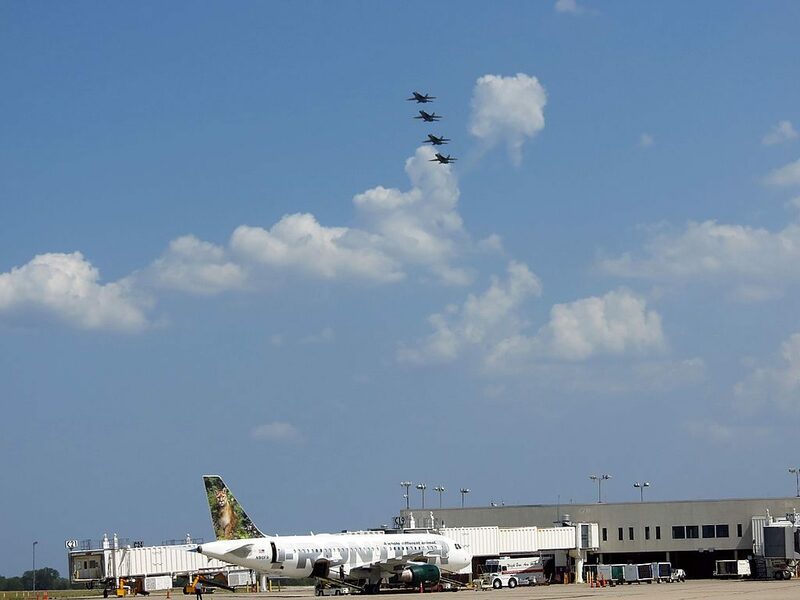 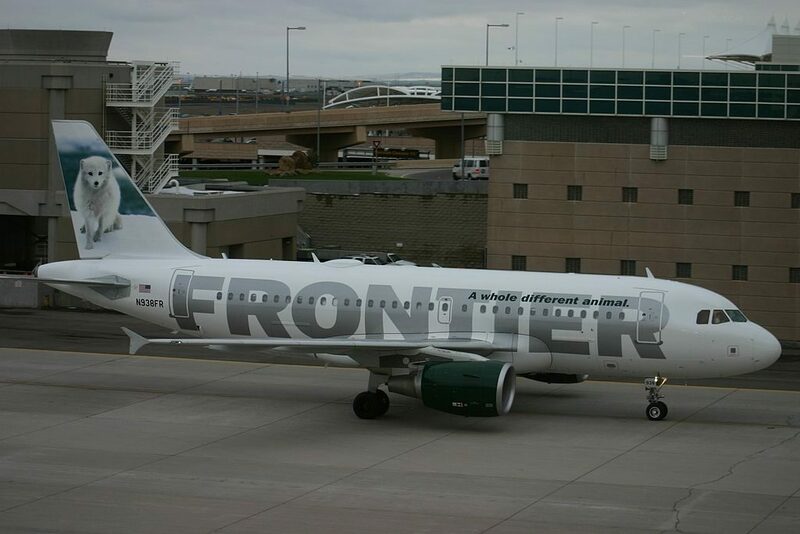 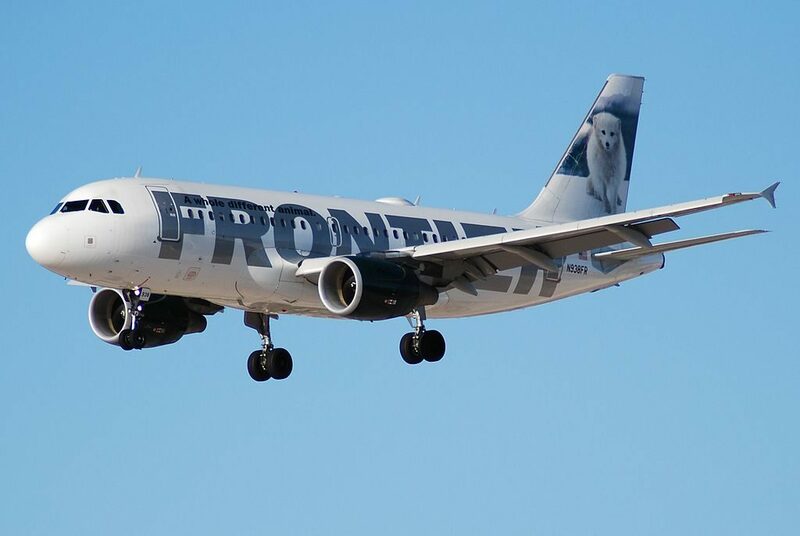 Frontier A319-100 aircraft name: Sal, Rudy, Domino, Flip, Misty, Jim, Joe, Jay & Gary, Lobo, Cloe, Pete, Erma. 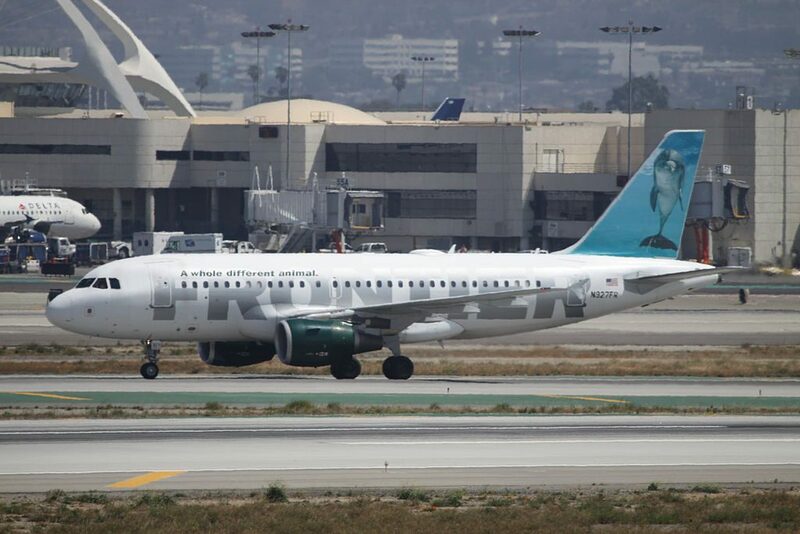 Airbus A319 is medium-range passenger airplane constructed by West European company Airbus. 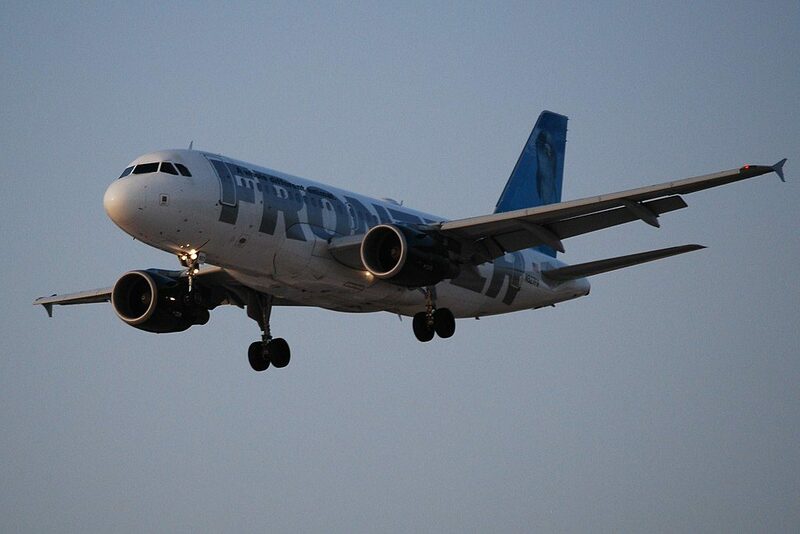 Airbus Industry started preliminary researches of 120-seats variant of A320 airplane with shortened body. 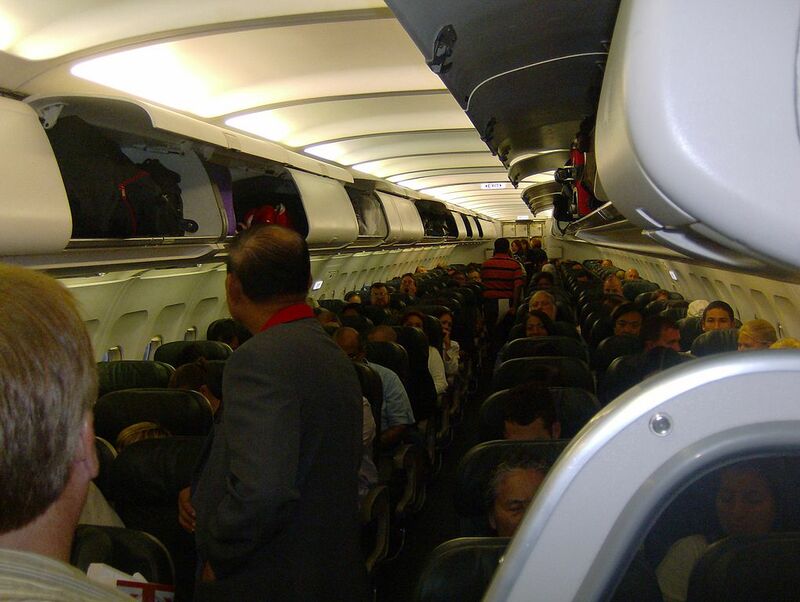 It supposed removal of seven rows of seats about which told A320 M-7 designation. 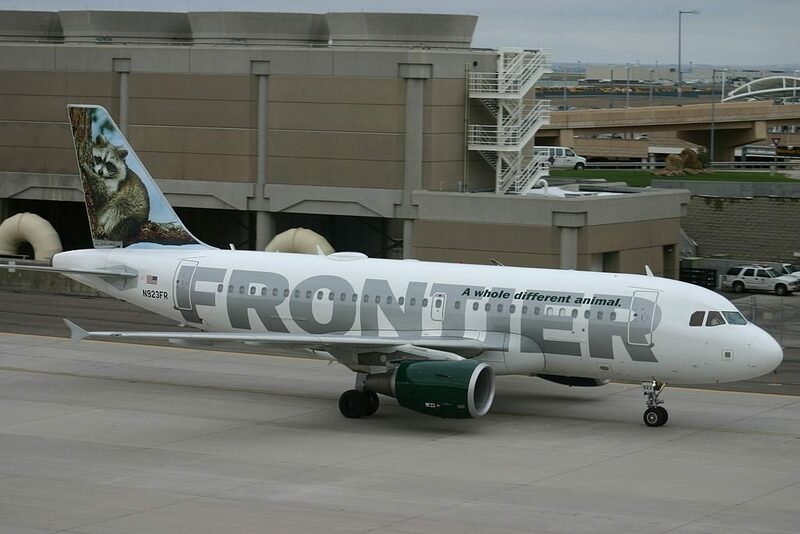 Later the airplane got designation A319. 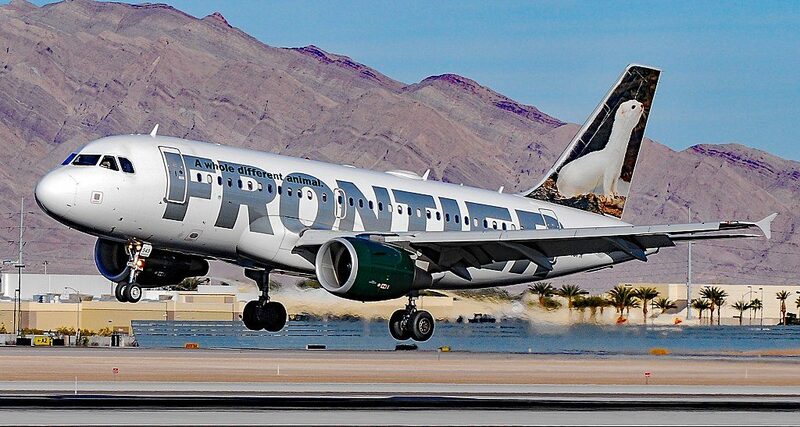 Airbus A319 is a very popular airplane among airline companies. 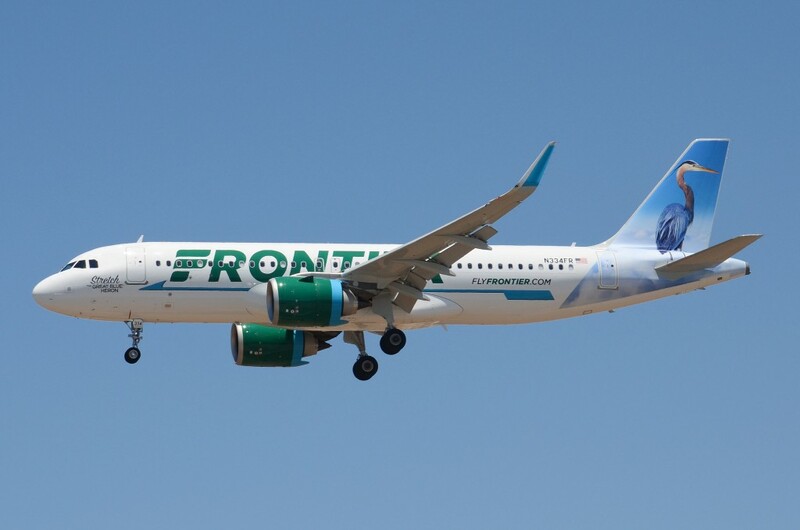 Characteristics of Airbus A319 allow it to successfully compete with old versions of the airplanes Boeing 737-300 and Boeing 737-700. 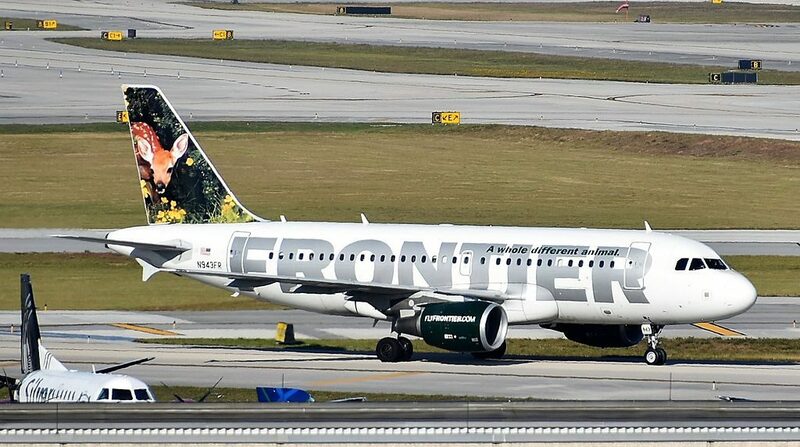 This narrow body aircraft Airbus A319-100 features Frontier’s Stretch seating at the first three rows of the cabin. 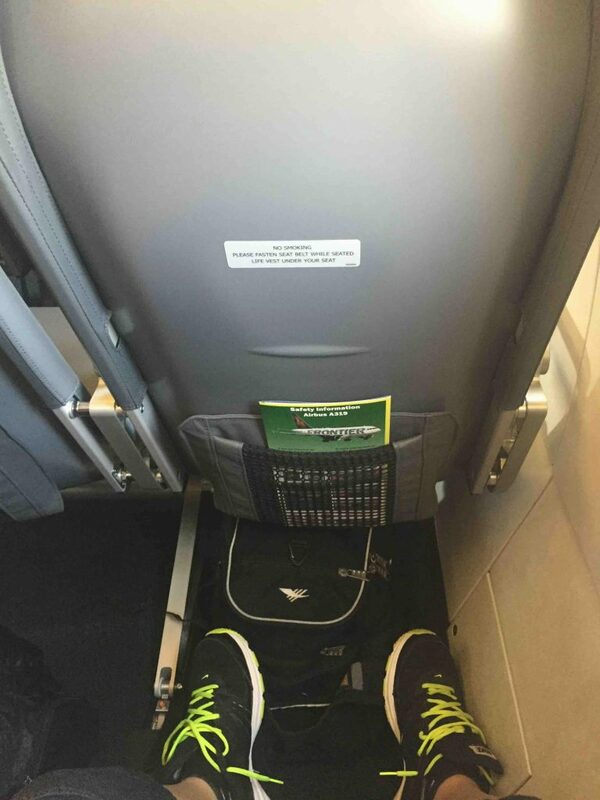 These rows provide an extra 5-7 inches of legroom and may be selected at time of purchase or at check-in. 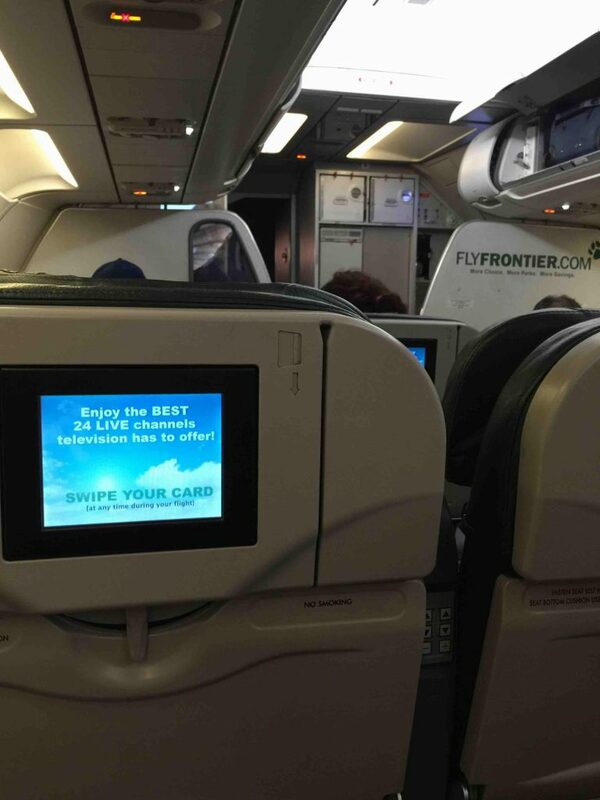 These seats are free with the Classic Plus fare; $5 USD per segment for Classic fares; and $15 USD for Economy fares. 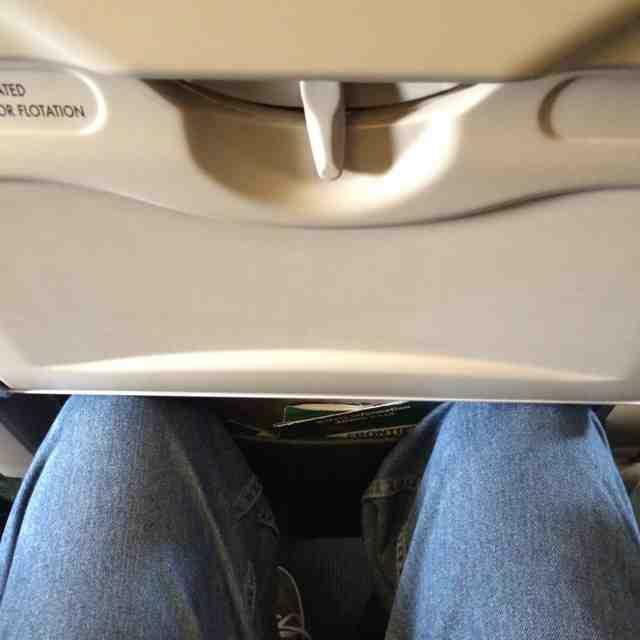 Stretch seating is increased legroom but remains an Economy class product. 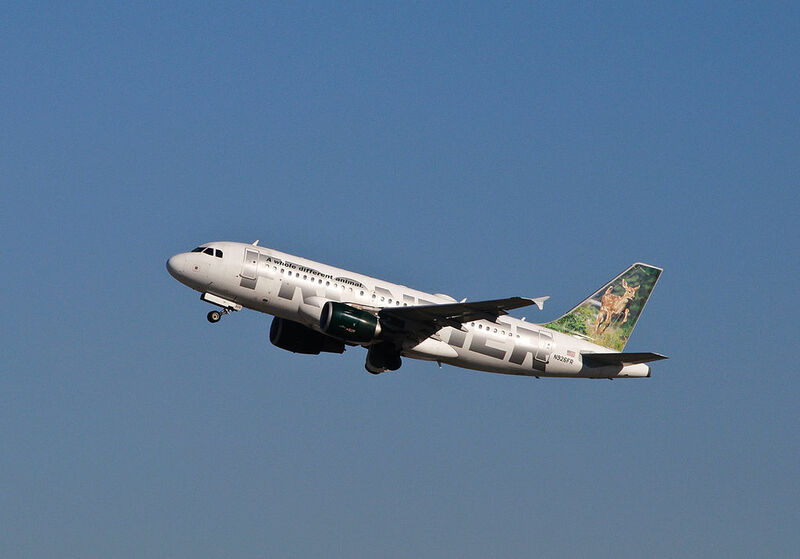 First version of Airbus A319 may accommodate 150 passengers. 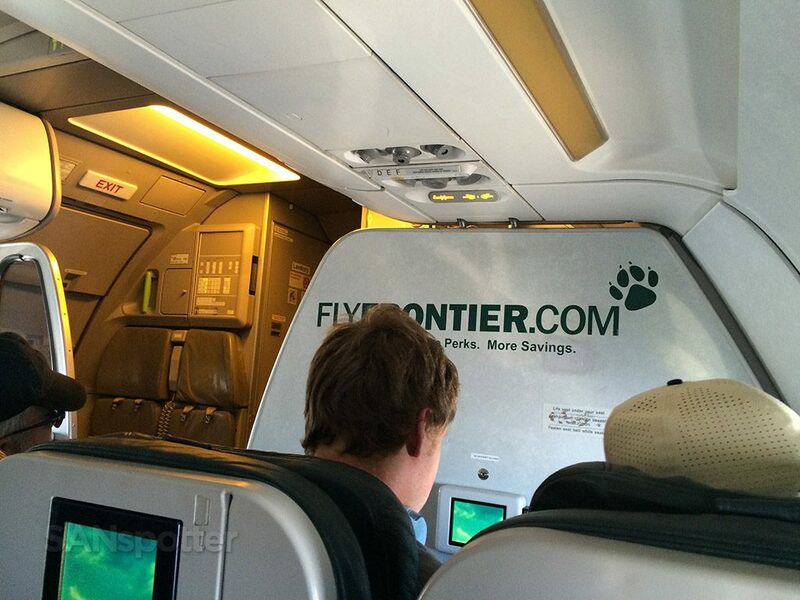 All the seats on this airplane do not recline. 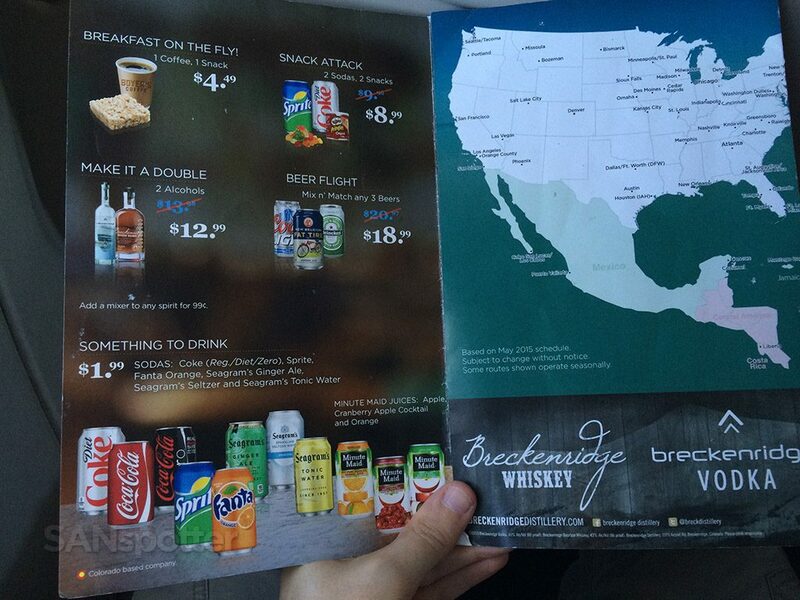 The seats are divided into 2 types: stretch and economy. 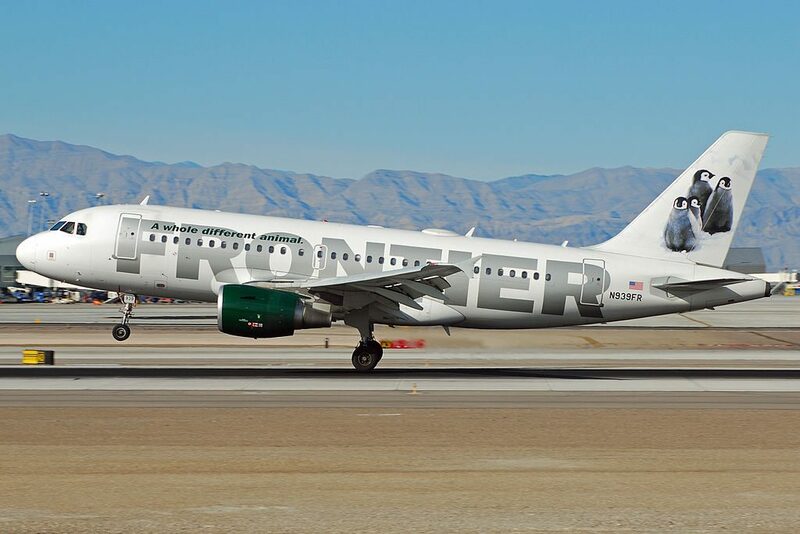 First 3 rows are the seats of stretch type. 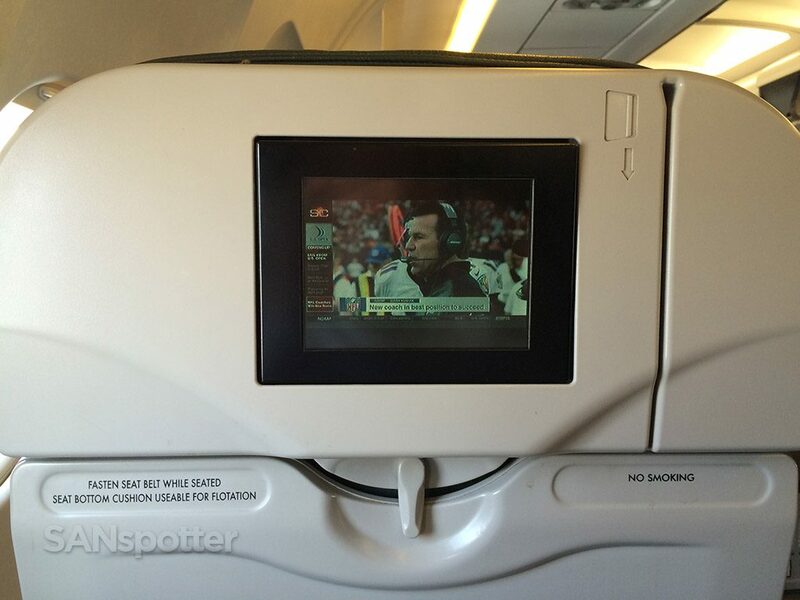 These seats have 3-3 configuration. 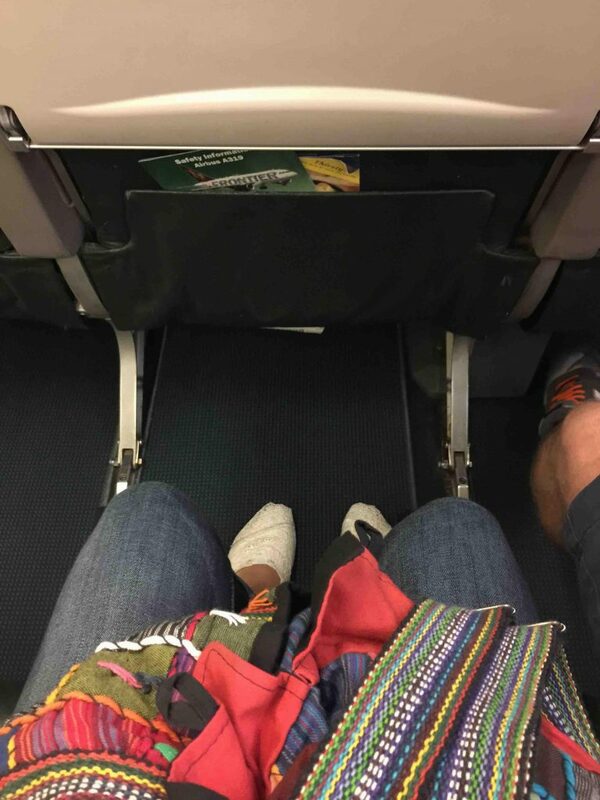 The seats of these type offer 5-7 additional inches of extra legroom. 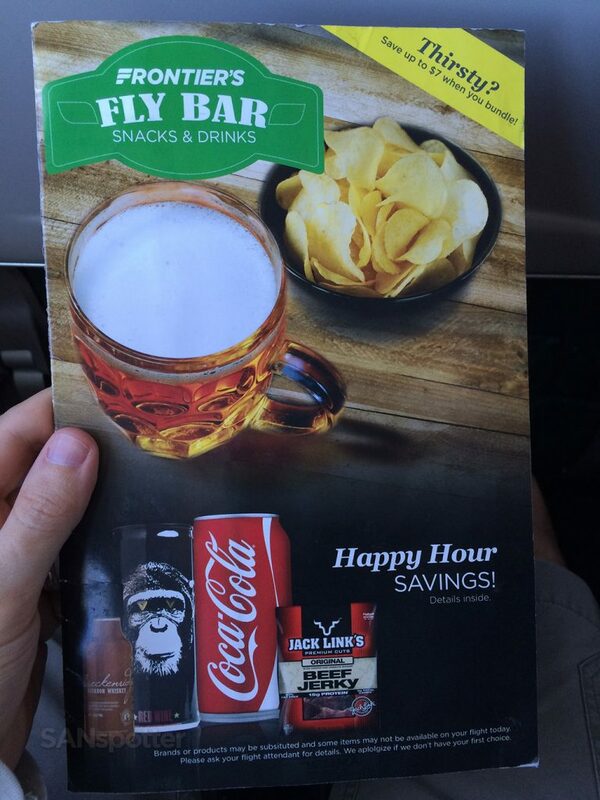 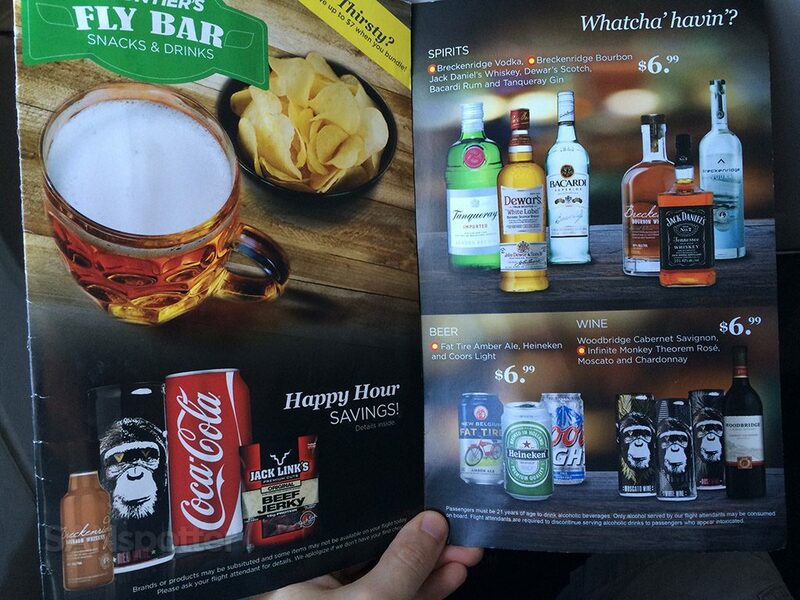 These seats may be purchased during check-in or directly at the airport. 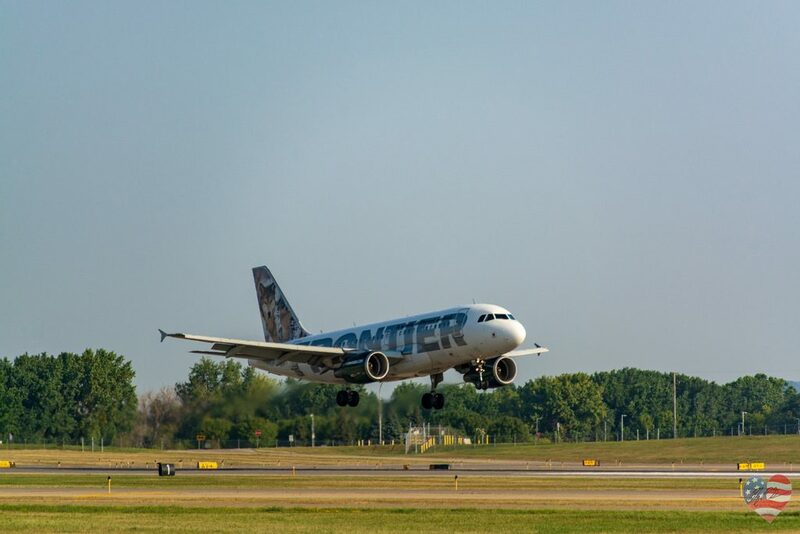 Among disadvantages of the seats of the 1st row are: lack of floor storage during take-off and landing and the noise from the galley and lavatory located in front. 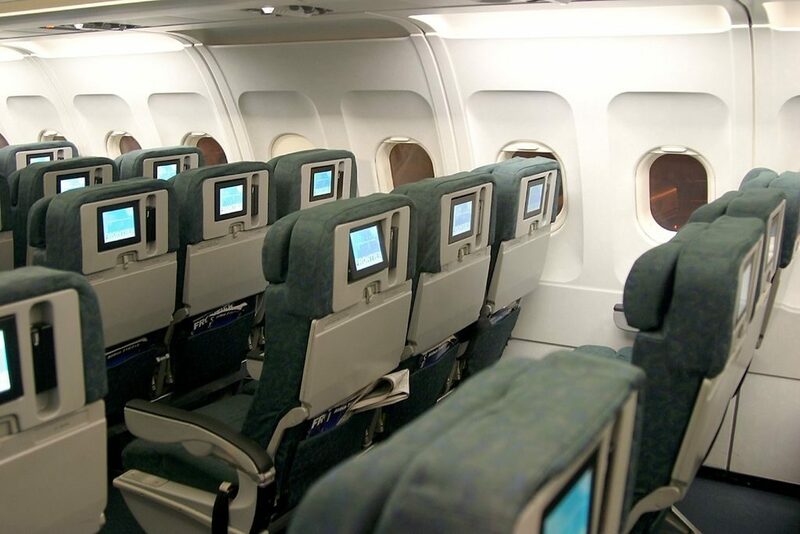 The seats of the rows 4-10 represent seats of economy class. 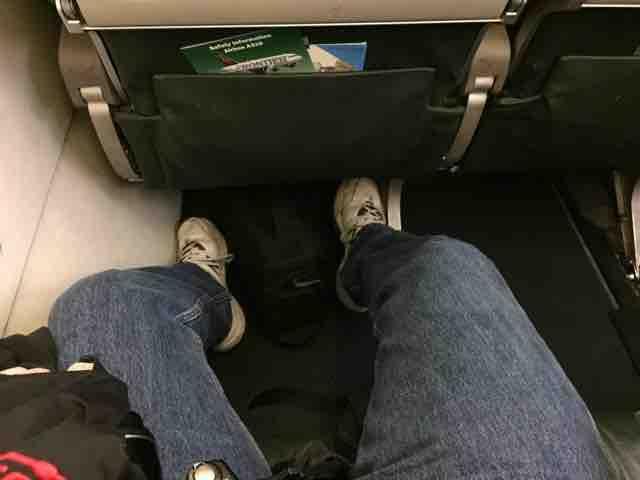 The seats of the 10th row have limited space for passengers’ legs. 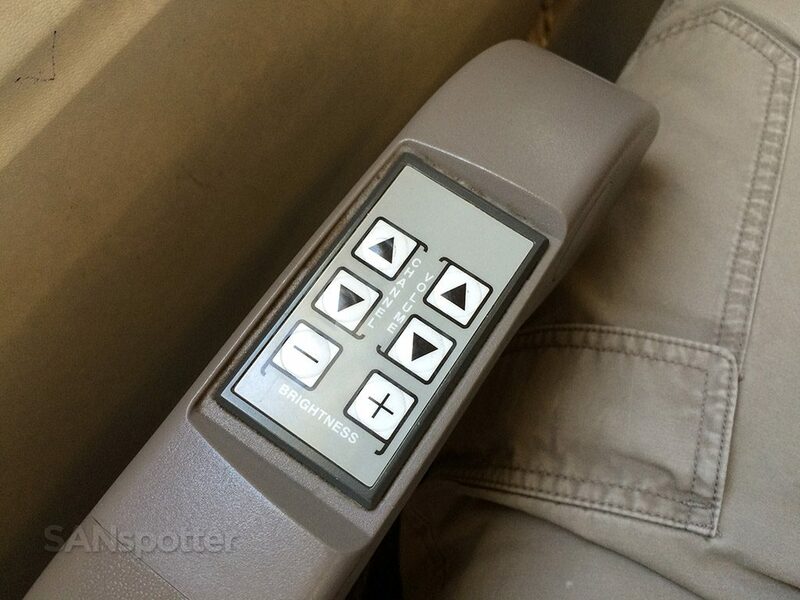 Also passengers of these seats can get cold during the flight by the exits. 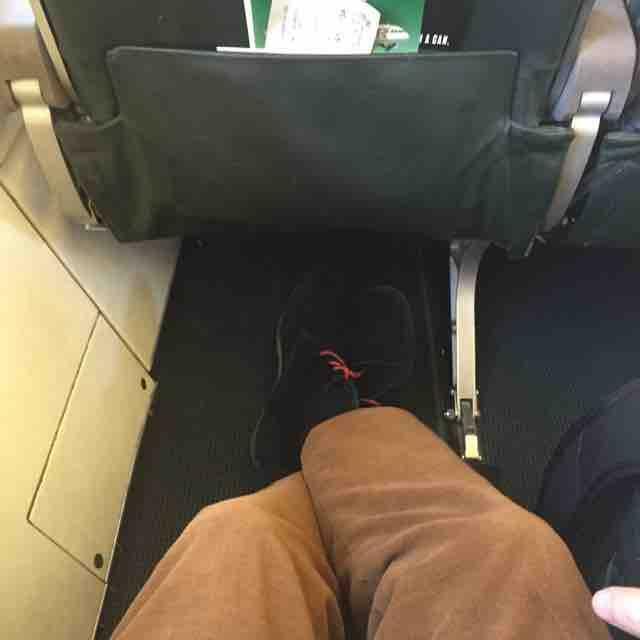 The seats of the 13th row are the seats of stretch type. 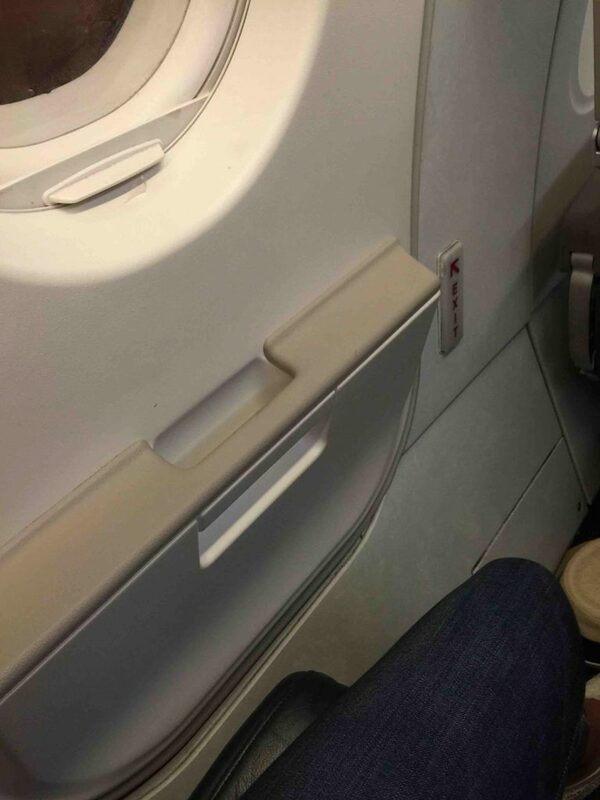 These seats are considered the best seats because they offer extra legroom thanks to the exit row located in front. 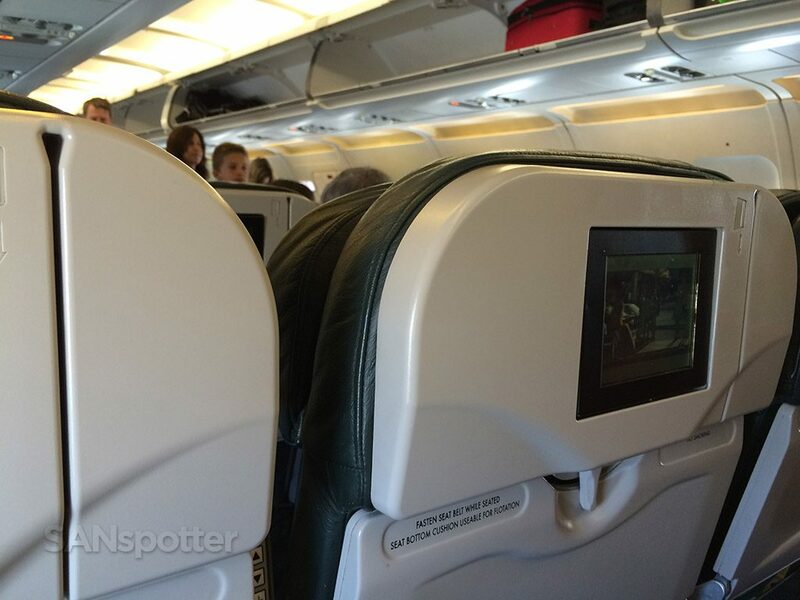 Passengers tend to congregate in the area of the seats 26C and 26D and of the seats of the last 27th rowwhile waiting to use lavatories and thus causing discomfort to passengers of these seats. 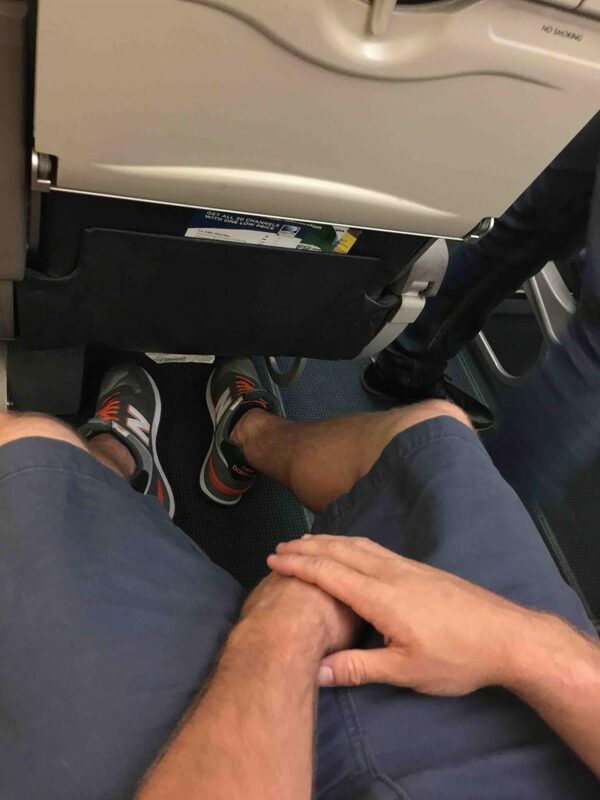 Limited recline makes the seats of the 27th row bad seats. 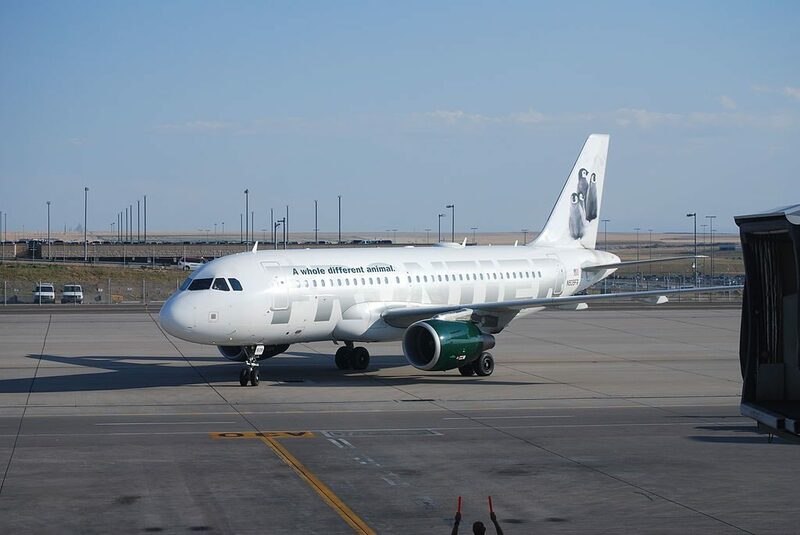 Second version of Airbus A319 offers 138 seats of two types: stretch and economy. 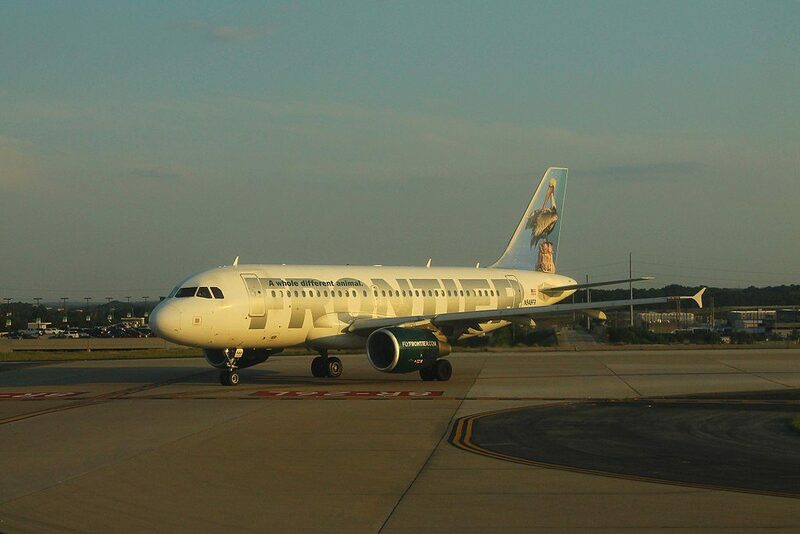 This airplane has 24 seats if stretch type. 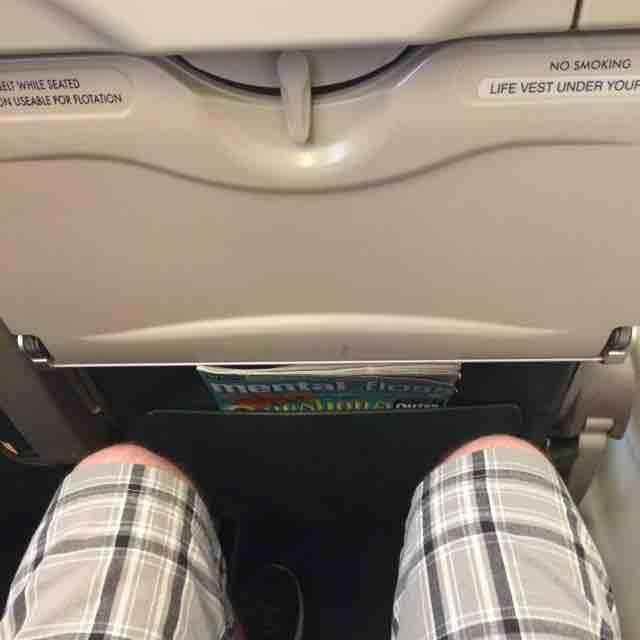 The only difference of these seats from economy seats is extra 8 inches of legroom. 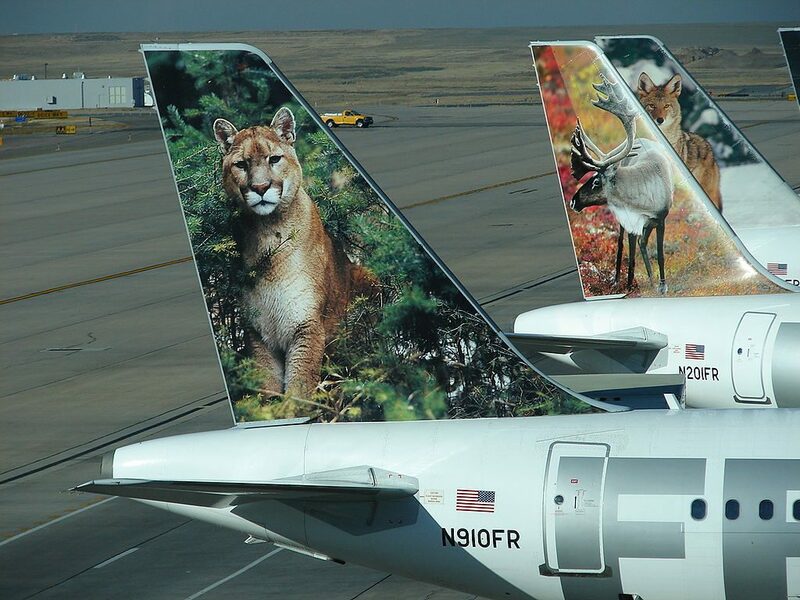 These seats may be selected when purchased or directly at the airport at time of check-in. 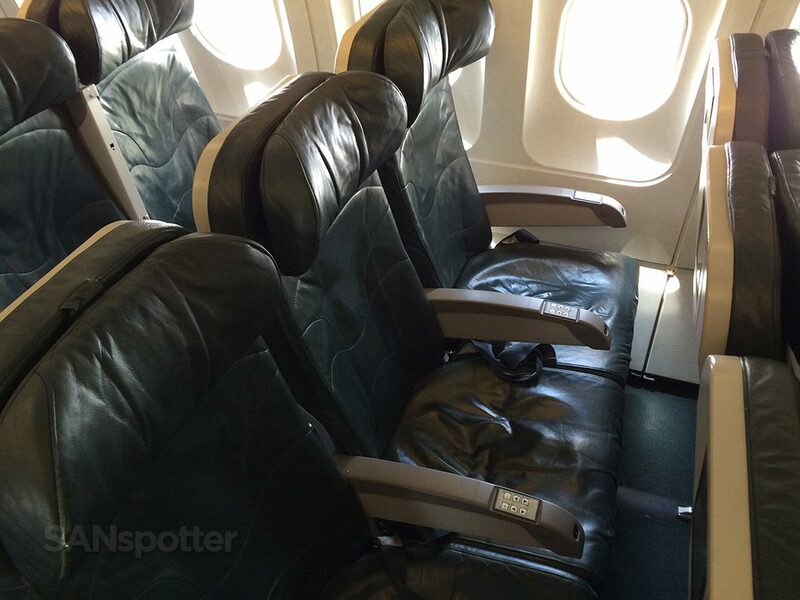 First 3 rows of seats that have 3-3 configuration are seats of stretch type. 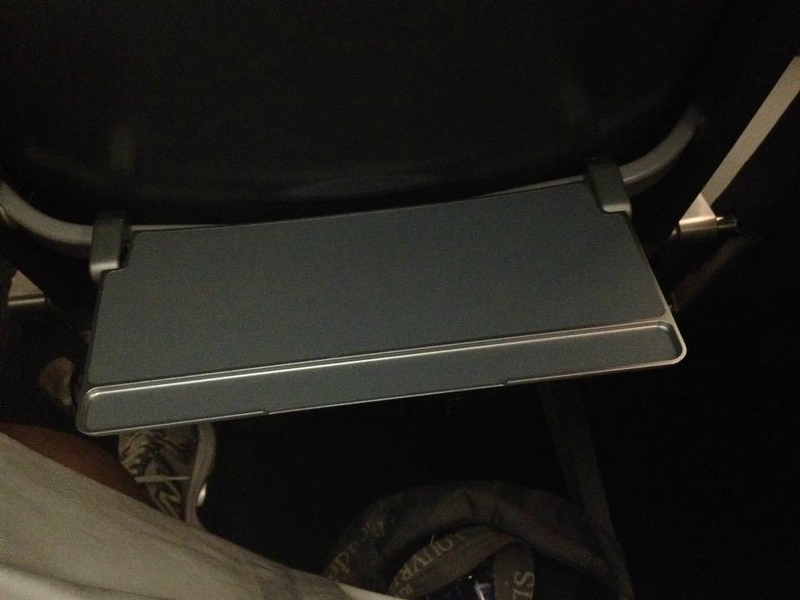 Lack of floor storage and reduced width are the main disadvantages of the seats of the 1st row. 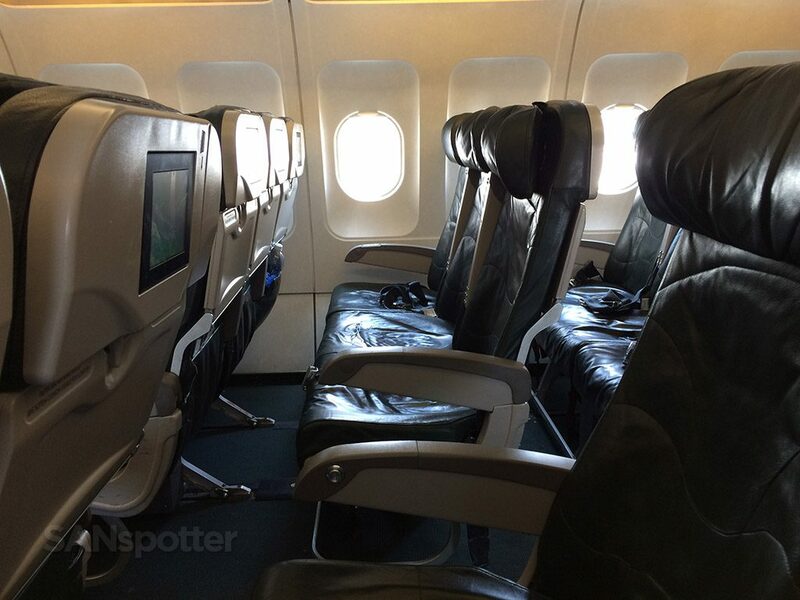 Behind these seats 6 rows of economy class seats are located. 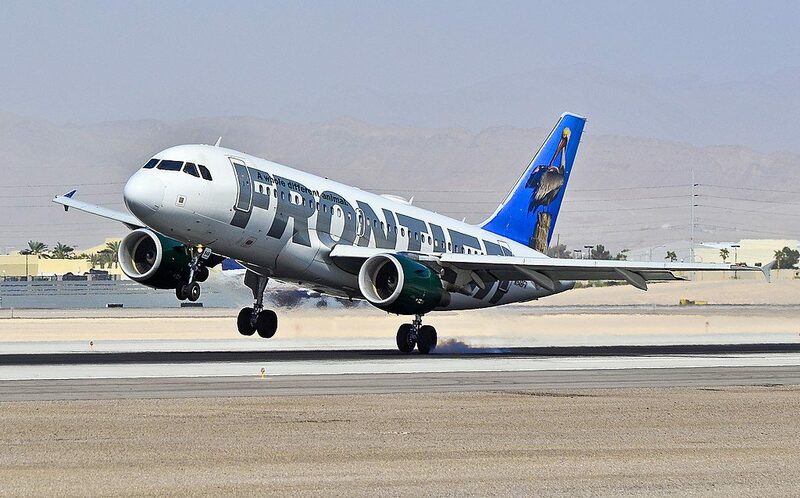 Because of the exit row located behind the seats of the 9th row are less reclining than standard. 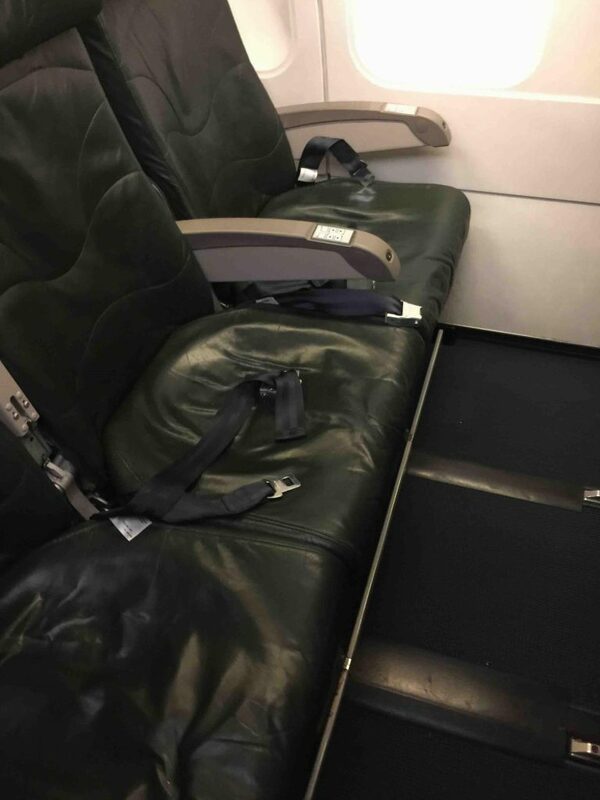 The seats of the 13th row represent seats of stretch type. 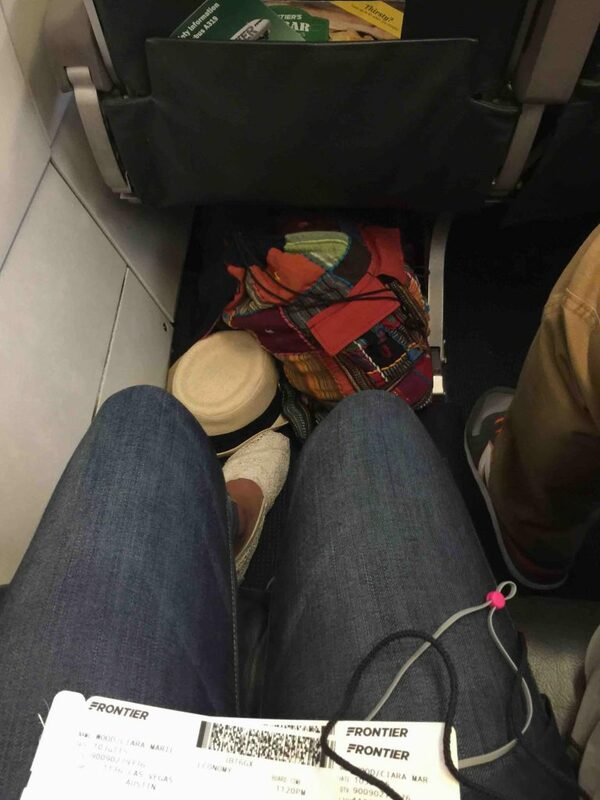 Passengers of these seats will take advantage of extra legroom. 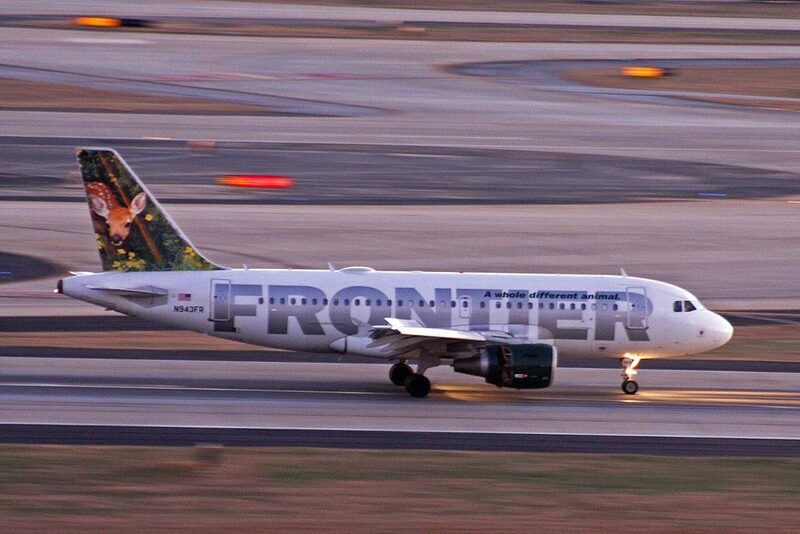 The last 13 rows are the seats of economy class. 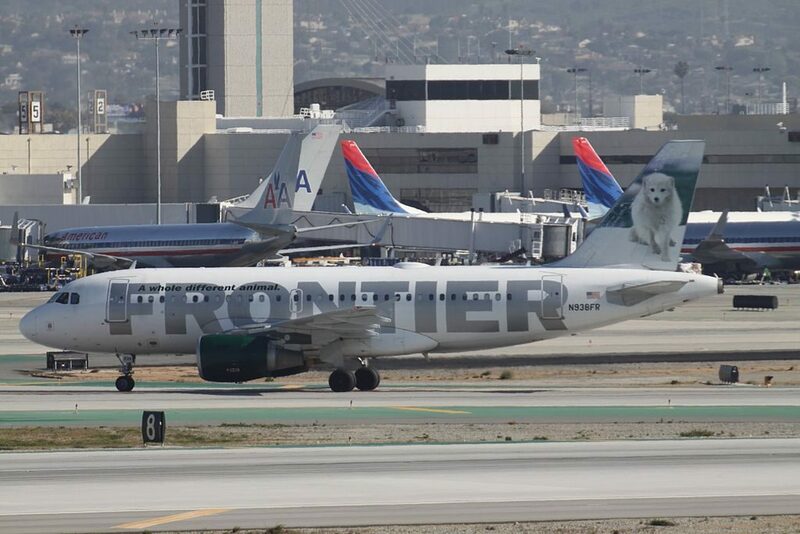 The only disadvantage of the seats 25C and 25D is location of the galley and lavatories behind. 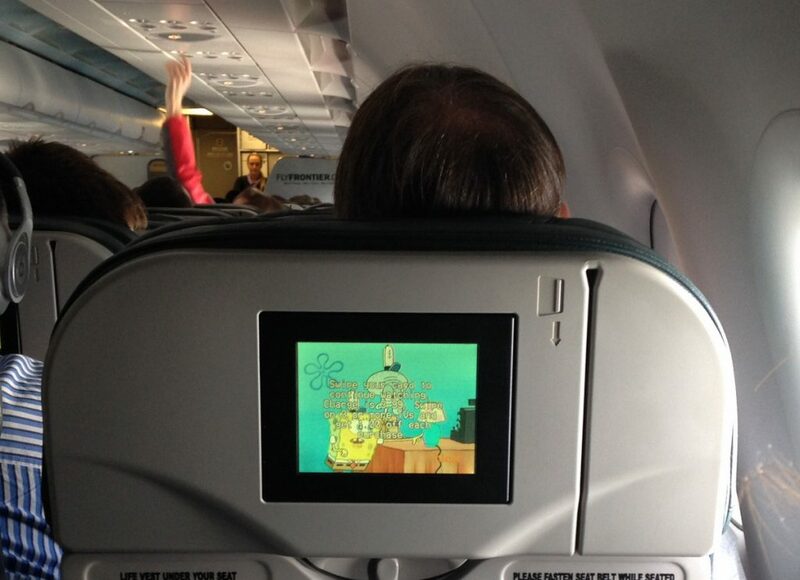 The noise from the lavatories and galley and limited recline make the seats of the 26th row bad seats. 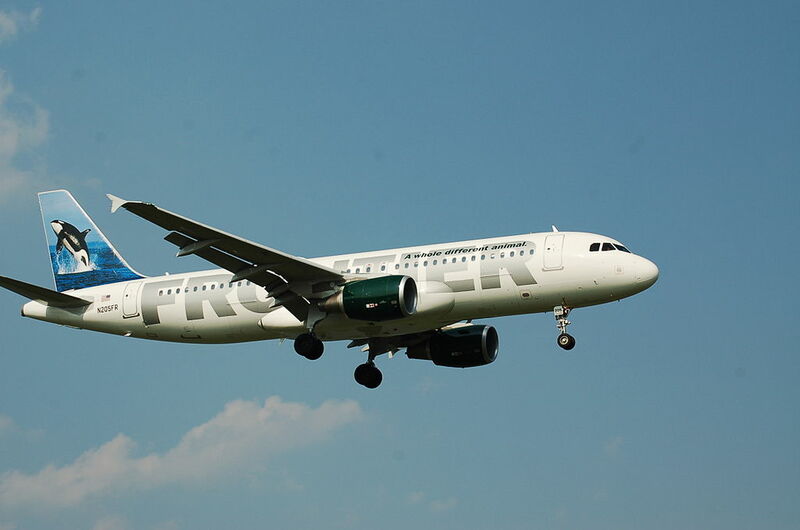 Thanks to visiting AirlinesFleet.com and read article : Frontier Airlines Fleet Airbus A319-100 Details and Pictures.